Teaching Authors--6 Children's Authors Who Also Teach Writing: A Book (PLUS Book Giveaway) for Every Children’s Book Writer! A Book (PLUS Book Giveaway) for Every Children’s Book Writer! No matter where you are on your Writer’s Journey – still thinking about writing for children and thus refusing the Call to Adventure, half-way past the First Threshold and revising your story or in the throes of a Supreme Ordeal while readying your manuscript for submission, I’ve got the perfect guide book to keep you moving forward: Cheryl Klein’s THE MAGIC WORDS (W.W. Norton, 2016). As luck would have it, you can have it! Simply enter our TeachingAuthors Book Giveaway at the end of this post. 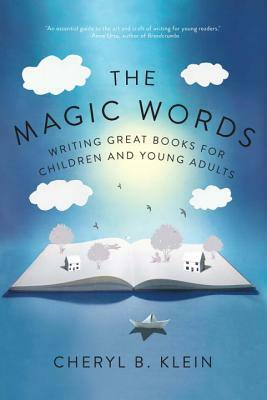 For those new to writing for children, Cheryl Klein’s credits as executive editor at Arthur A. Levine Books/Scholastic Inc. guarantee writers the kinds of insights, techniques, exercises and reflections that are essential when placing the right words in the right order – “the magic words,” she says, that allow our books to change lives. And not just our readers’ lives, but our writers’ lives too. Knowing how this editor of award-winning books views her life’s work and passion speaks volumes for all she shares in THE MAGIC WORDS. Chapter by chapter, Cheryl Klein mines her years of editorial experience to clearly and thoughtfully instruct and show writers how to use and develop their gifts to craft a strong (and personally meaningful) story concept told in an appropriate format for their intended audience – a story that builds bonds between readers and characters, that keeps those readers engaged and turning the pages, that speaks to them with truth and thus is worthy of publication. 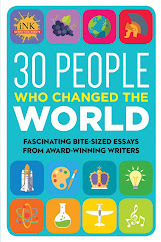 Each chapter offers Exercises, well-known referenced titles and concrete examples from esteemed authors such as Lisa Yee and Trent Reedy, all to support the stated take-away – The Power of Plot, for example, Seven Ways to Look at a Scene, Fundamentals of Voice, or Twenty Revision Techniques. Informational Asides, Book Map instructions and Checklists for Character, Plot and First Pages add to the content. Together, the chapters underscore the 5 qualities this editor deems essential to magic-making: good prose, rich characters, strong plot construction, thematic depth and powerful emotion, for both the reader and the writer. A Recommended Reading List is also included. Readers close the book smarter about story, craft, genre and format possibilities, children’s book literature and publishing as well as smarter about themselves as writers. My all-time favorite chapter? Chapter 16 – Perspective and Polishing. Readers are offered the first scene of a YA novel, followed by Cheryl Klein’s annotated notes, followed by author Morgan Kass’ revised draft, followed by Annotations Part II. Talk about Show, Don’t Tell! This eye-opening chapter should be compulsory reading for every writer of fiction. Speaking of which, I’ve now added THE MAGIC WORDS to my Recommended Reading lists for my University of Chicago’s Writer’s Studio and Newberry Library Workshops. Why not see for yourself? Click HERE to read an excerpt from Chapter 2 – Experience and Emotion - Cheryl posted August 28 pre-publication. Thank you, Cheryl Klein, for helping us wave our wands. AND NOW FOR OUR BOOK GIVEAWAY! Use the Rafflecopter widget below to enter to win a copy of Cheryl Klein’s THE MAGIC WORDS (W.W. Norton). The giveaway is open to U.S. residents only and ends September 26. The book sounds great. Please enter me in the giveaway! I'm excited about this book! Count me in! I've found Cheryl Klein's stuff on line helpful. I look forward to reading everything gathered in one book. I so appreciate - and applaud - the swift response to this terrific Book Giveaway! Thank you, Allan, Diane, Mrs. G. and Patricia. Apologies, too, for requiring the extra effort. Cheryl Klein's THE MAGIC WORDS has been correctly labeled a mini-MFA-in-Writing Program. Looking forward to reading and utilizing what I've learned from this book for my picture books and young adult books. The formatting of this book sounds just right for me and my style of learning. Thanks for this giveaway. 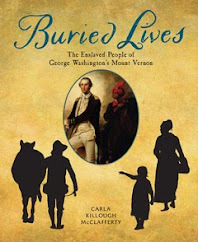 I loved CK's Second Sight and would love her latest in my home library. I'm 're=-entering" the contest ... I guess there was a glitch with my first entry. Thanks! Sounds like a great book. Thank you for the opportunity! This sounds like just the book I need. Thanks for telling me about it. Thanks for the chance to win a copy. Great post. Can't wait to read this book! Always in need of a new craft book, thanks for this review! And, yes, please enter me in the giveaway! So excited about this book! I read Second Sight and learned a lot. Cheryl Klein is a master at teaching the craft of writing. I've heard Cheryl speak at conferences and she's brilliant- can't wait to read this book! Thanks for bringing it to our attention! Here's my Shout-out to all of the above for entering our Book Giveaway of Cheryl Klein's THE MAGIC WORDS - via comments, via Face Book visits, visit the Rafflecopter. 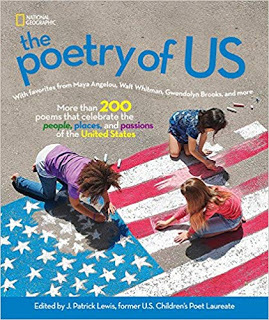 I wish you could ALL win this outstanding book. I'm excited to see her wisdom in book form. Thanks for your generosity. I put this on my wishlist as soon as I saw that announcement that it was being published. Can't wait to pore over its pages! 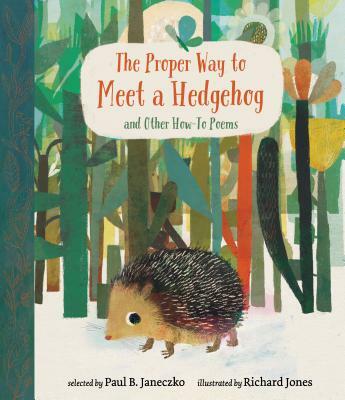 Cheryl gave a great presentation several years ago at the NJ SCBWI.Betting I need this book! Sounds like a great book by a great editor! Thank you for the giveaway! Congrats to Cheryl Klein on the publication of this important book! I'm always looking for quality books on writing for children. Cheryl Klein has an excellent reputation. I read the excerpt and know this is a book i need. Ooooh. . .sounds like a fabulous book. Just what I was looking for. Thanks for the review, Esther! I loved Cheryl's presentation at a NJ SCBWI event a few years ago. I can't wait to read and own MAGIC WORDS. I am sure it will be as well loved as my copy of SECOND SIGHT. Thank you for such a wonderful review and giveaway! This book looks very interesting, so... I'm in! Thanks for this opportunity. Thank you so much for the opportunity to win a copy of this book! It looks great! I'm so glad Cheryl Klein's THE MAGIC WORDS has struck a chord with so many children's book writers! Thanks everyone for taking the time to comment and enter our Book Giveaway. Attended a retreat led by Cheryl Klein. So looking forward to reading the book. "A mechanic for stories"! What a great image. Yes please! The Magic Words sounds like a magic book. 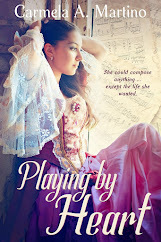 I love Cheryl's blog and I'm sure this book is full of terrific advice! This sounds like a wonderful book/resource that I could definitely learn from. As an author of both y.a. and children's books, I'm excited to find this blog! This looks like my next book to read. Looking forward to it.